These beauties walked us through the whole process! 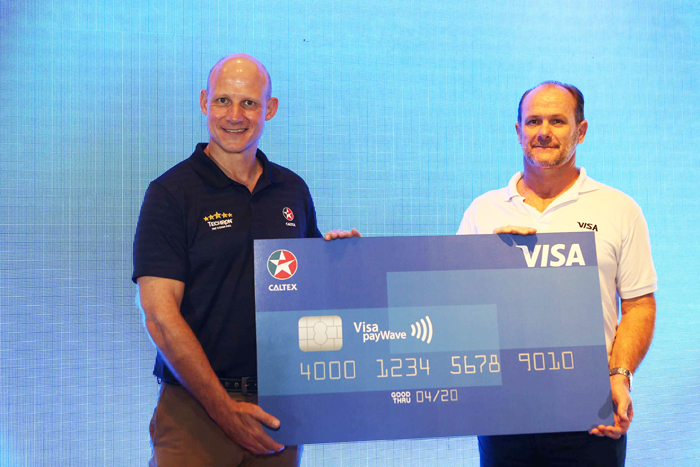 Caltex, marketed by Chevron Philippines, Inc. (CPI), is enhancing Filipino motorists’ gas-up experience with the introduction of Visa payWave, contactless payment technology. Visa cardholders purchasing Caltex fuel worth Php2,000 and below at participating Caltex stations nationwide can now enjoy the same fast and secure transactions without the need to input PINs or sign credit card receipts. They can simply wave their Visa payWave cards in front of the Visa payWave readers. * For purchase exceeding Php2000, Visa cardholders will have to sign for the particular transaction or enter a PIN. To kick off the partnership, Chevron, together with Visa, will be holding the “Drive Away a Millionaire” promo starting April 21, 2017 to July 31, 2017. Visa cardholders using Visa payWave to purchase any Caltex fuel (Platinum with Techron, Silver with Techron and Diesel with Techron D) at participating stations will get the chance to win Visa card credit worth Php1 million! Three lucky motorists will also receive 1-year Starcash worth Php100,000! WOWWW!!! 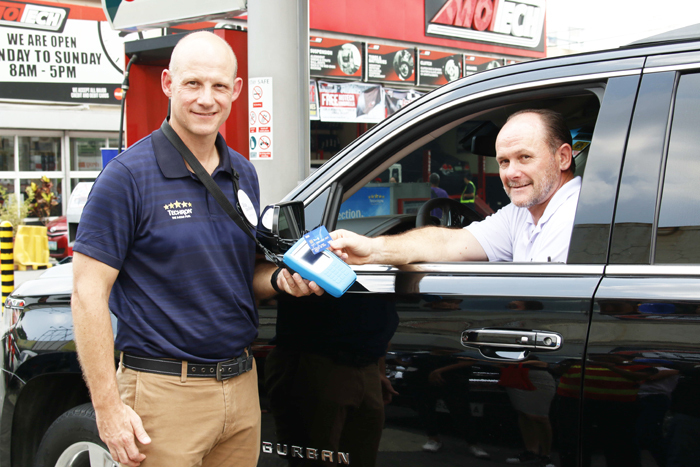 Each Caltex fuel-up using Visa payWave will entitle motorists to three (3) raffle entries for every Php500 payment increment. Meanwhile, each Visa contact transaction is equivalent to one (1) raffle entry. Motorists gassing up at Caltex can also get an instant prize of Php50 discount to be deducted outright from their fuel purchase. May 20, 2017 11:59 p.m.
June 20, 2017 11:59 p.m.